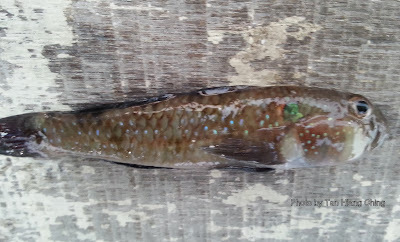 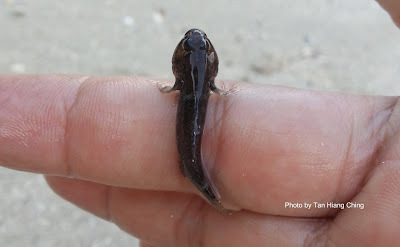 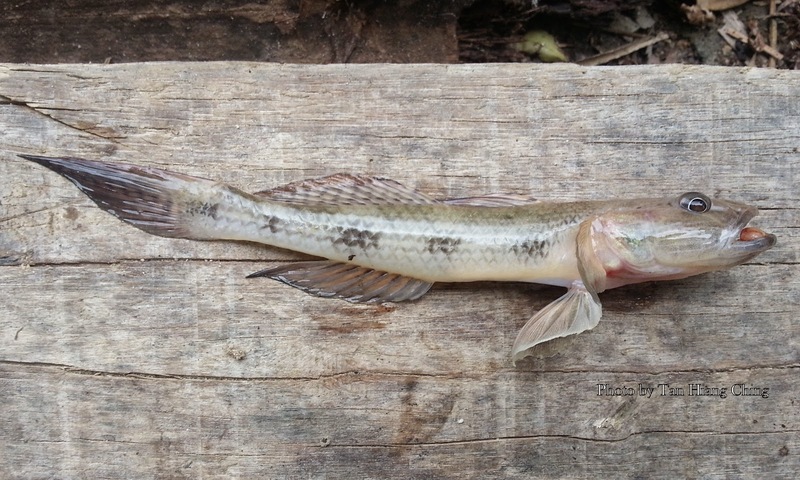 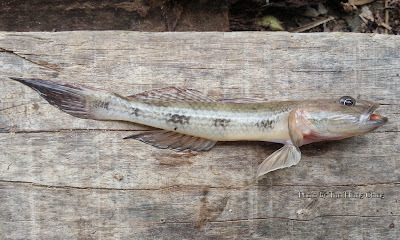 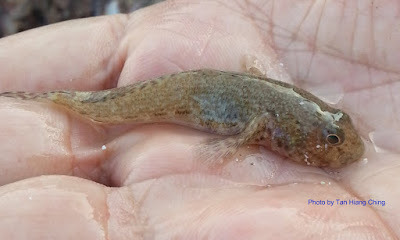 Gobies and mudskippers are members of Gobiidae family. They are found worldwide in fresh, marine and brackish water. They are concentrated in the tropics and subtropics, especially of the Indo-Pacific. 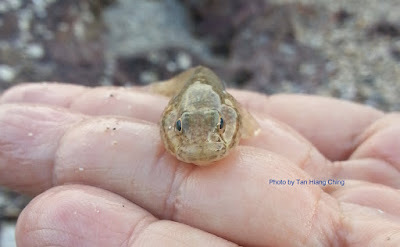 Most gobies are small, typically less than 10 cm in length, although some species can reach to about 50 cm in length. The smallest fishes (and vertebrates) in the world belong to this family. 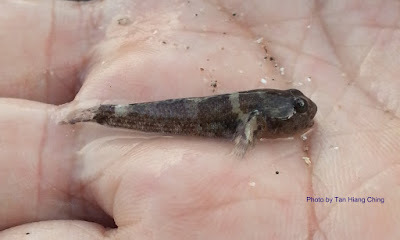 There are about 250 genera and about 1500 to 2500 species of gobies that make up the Gobiidae family worldwide, making gobies the largest marine fish family and the most species-rich family of vertebrates. 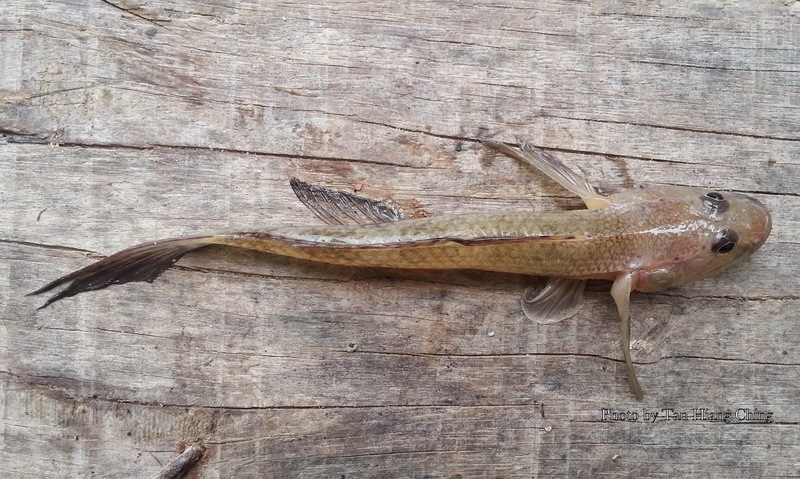 Malaysia has at least 35 species. Main Diagnostic Features: Greenish patch behind upper edge of operculum and scattered white spots on body. 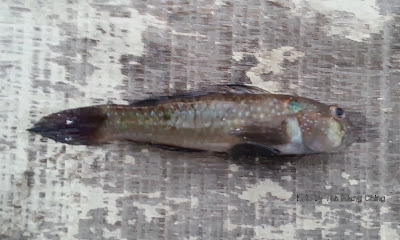 Size: Maximum total length 13 cm.